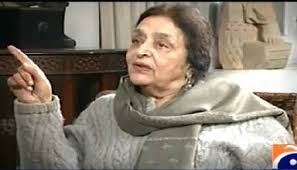 LAHORE, March 25: Veteran leftist activist Tahira Mazhar Ali was laid to rest in a graveyard near her home in Shah Jamal on Tuesday. She had been unwell since 2009. She passed away on Monday. Advocate Abid Hasan Minto recalls Tahira as a campaigner for the rights of the working people. He says her work on issues pertaining to women’s rights and their political empowerment was part of a broader lifelong commitment to the cause of marginalised communities. Minto says he had known her since 1949 when as a teenager she became a founding member of the Communist Party of Pakistan (CPP). “I was based in Rawalpindi but I got to see her once in a while at the meetings of the CCP central committee in Lahore,” he says. In 1950, Tahira established the Democratic Women’s Alliance (DWA), first leftist organisation in the country particularly for women. With the CCP and its subsidiary bodies banned in 1954, Minto recalls, Tahira was amongst the core group of activists who kept the political left alive across the country through various underground organisations. Later on, Tahira remained active with the National Awami Party and after it’s disbanding with the Socialist Party and the National Workers Party. She was also part of the Women Action Forum established in the 1980s to counter the dictatorship of General Ziaul Haq. “I believe Tahira’s most important legacy is her work amongst working women,” he says. “She did not just restrict her work to the educated middle class women. 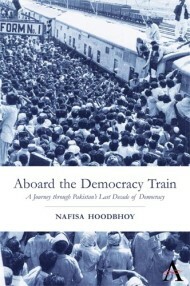 She was amongst the first activists to have started organising women relatives of the railways workers,” he says. Activist Farooq Tariq says Tahira would call him up every day and tell him about issues relating to the working people that she thought needed immediate attention. He says the calls stopped only in 2009 when she fell ill. He says Tahira was amongst the first people who generously donated books to a library set up by him and his other colleagues at the Labour Education Forum in 1998. Tahira was the daughter of united Punjab’s chief minister and unionist politician Sir Sikandar Hyat Khan. She married her cousin Mazhar Ali Khan when she was 17. They remained lifelong political activists. Tahira has left behind a daughter, Tauseef Hyat, and two sons, Tariq Ali, a renowned left-leaning writer, and Mahir Ali, a journalist.